This roomy backpack is perfect for daycare, preschool, trips to the grandparents, or anywhere! 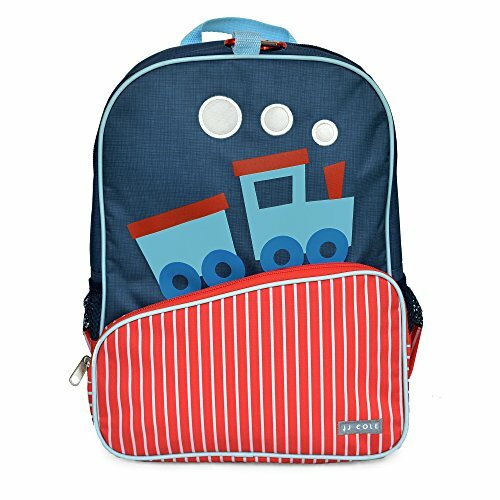 The JJ Cole Toddler Backpack has a roomy interior that is large enough to fit a standard sized folder. It features two exterior side pockets, a small zippered front pocket, and a reflective patch for added safety. Use the included clip to easily attach lunch packs, nap mats, and more. Includes a matching folder.